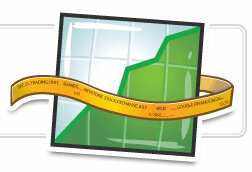 Google shares (NASDAQ:GOOG) are currently trading at 529.06, -2.58 (-0.49%). In typical Google fashion, the search engine giant has announced that it will be changing the way it distributes financial news and financial related press releases. Typically, Google would distribute financial reports, news, and information via traditional news wires such as Business Wire and PR Newswire. But Google is making plans to do away with that method and instead, create a Google financial news blog as the platform of choice for all things financial relating to the company. This decision is very a-typical Google! Google has a massive network of blogs – 87 of them that last time I counted in fact – that all serve the purpose of distributing news and information from the company to interested parties. So a Google financial reports blog would be right in line with what Google has been doing thus far. While this type of change has been legally permissible since August 2008, when the Securities and Exchange Commission (in an update to Regulation FD guidance) approved company Websites as acceptable disclosure vehicles under certain circumstances, few companies have made the switch. Reis, a real estate data firm, and online travel company Expedia are among those that have done so, according to the blog IR Web Report, reports CIO.com. I haven’t yet been able to find a link to the new Google financial news blog, but I will keep digging and post it as soon as I can. Or maybe you know of it and I just haven’t been able to find it! If you find it, or know where it is on the web (the URL), please let us know in the comments below!